Went there for an evening meal as I was staying in the guest house over the road.I am now off work with food poisoning.Yesterday the landlady at the guest house texted me to say that another guest who ate on the same night as me has the same.We ate different meals so I would guess that their food hygiene is not up to scratch.Avoid like the plague! Pretentious "gastro pub", you know - the type that serves ostrich etc. Beer is crap Greene King but don't even think of going in if you are not "dining". Luckily the place is shut most of the time. They won't even let dogs into the garden. 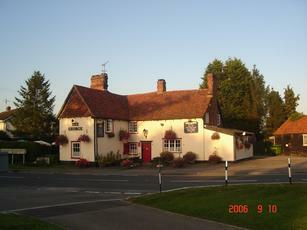 You're much better off going to The Three Horseshoes in Spellbrook or to The Sutton Arms.